Spending too much time with the blue-tinted screens creates sleeping problems. That lack of sleep can cause diseases, even death. But blue light isn’t all bad, some say. 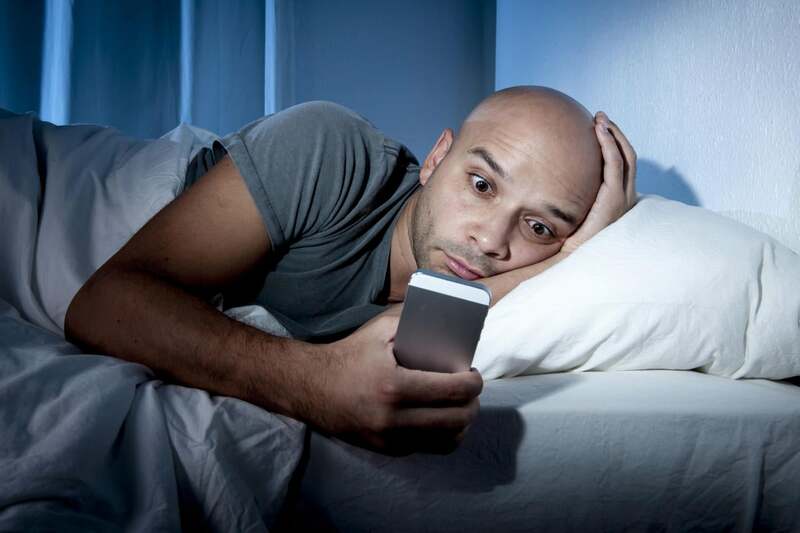 Put that smartphone away or limit your use of it if you want to get a decent night’s sleep and stay healthy. Researchers from the University of California, San Francisco say they have confirmed that sleep deprivation is magnified by exposure to a kind of blue light emitted by the devices. And missing sleep can instigate deadly diseases, such as obesity and depression. “Longer average screen-time was associated with shorter sleep duration and worse sleep-efficiency,” the journal PLOS ONE says of the research on its website. Sleep took longer to come on and quality was generally poor, according to the researchers. Over 600 participants were studied over 30-day periods, and researchers overwhelmingly found that the more people used their smartphones, particularly just before bed, the worse sleep was for them. “Screen-time is associated with poor sleep,” the journal article says. The problem is that blue light spectrum—as is produced by smartphones—can suppress the body’s creation of melatonin. That leads to “decreased drowsiness, difficulty initiating sleep and non-restorative sleep,” the researchers say. Melatonin is a hormone produced by the brain’s pineal gland; it triggers the body’s natural rhythms. Light is part of what regulates melatonin in the body. As the body produces melatonin, the body’s sleep rhythm kicks in. That’s interrupted by the phones. Excess light means less melatonin is created, which is why the body gets used to being awake during the day. In this case, roughly, that artificial burst of blue light from the phone, suppressing melatonin, fools the body into thinking it should be awake— that it’s daytime, not night. Those sleep issues might not be a major problem if it weren't for the fact that sleep deprivation has been linked as a risk factor for morbid diseases, such as obesity, diabetes, cardiovascular disease, depression and overall mortality. In other words, messing around with your smartphone, particularly when your body is preparing to be asleep, might contribute to tiredness, if not kill you. It might not be your partner’s snoring or inconsiderate neighbors slamming doors that’s really affecting your sleep, but your use of the phone. Younger people suffered more than older people, the study found. They spend more time on phones, however. “Longer average screen-time was associated with shorter duration of sleep and reduced sleep efficiency,” the researchers say. Some people say smartphones and blue light aren't all bad. The Daily Mail, in its coverage of the blue-light study, points out that researchers at Mid Sweden University have discovered that mixing blue light with caffeine intake makes the brain more alert. “It has the potential to positively influence a range of settings where cognitive function and alertness are important,” the researchers say in the Daily Mail article.